Attach upper and lower grill plates and preheat Grill & Broil to 425°F. 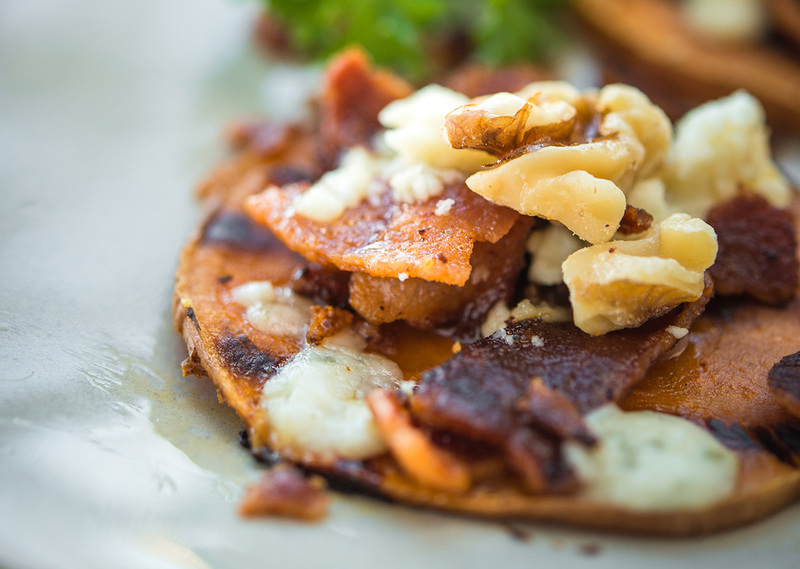 On large plate, lay out sweet potato slices in even layer. Spray each side with cooking spray and season with salt and pepper. Place slices on preheated grill and grill for 18-20 minutes. Repeat with remaining slices. Carefully remove upper grill plate and add Gorgonzola walnuts and bacon to slices. Add Gorgonzola, walnuts and bacon. Cook on HIGH Broil for 1-1½ minutes until cheese is slightly melted. 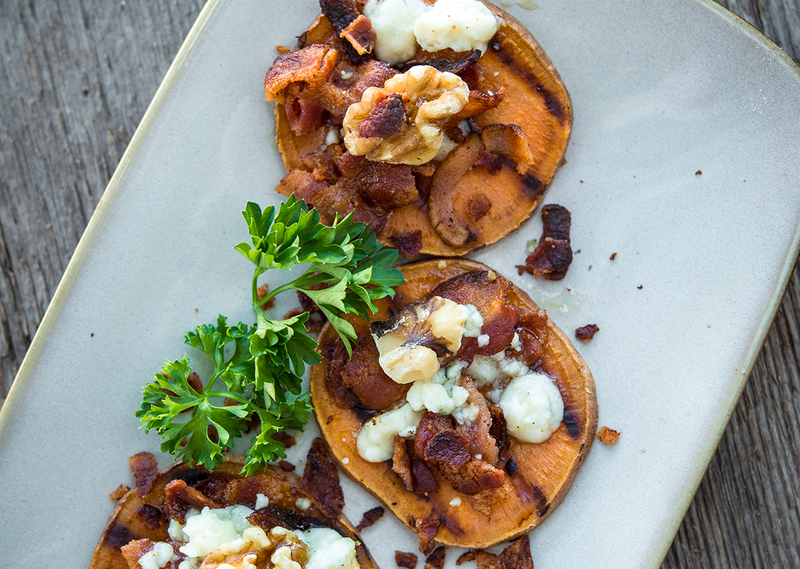 Remove sweet potato slices from grill and drizzle with honey. Repeat with remaining slices.